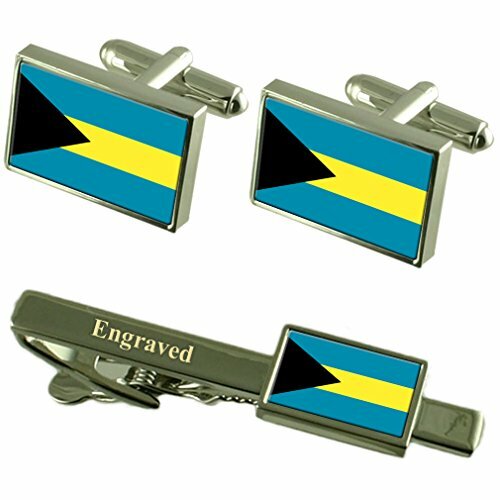 The Bahamas Flag Engraved Personalised Tie Clip with Cufflinks, please tick gift message confirm the text to be engraved. As shown we can engrave a simple name or date upto 15 spaces only. If we have no gift message we will assume blank and post for you with gift pouch. Please see guide notes in the bullet points tick gift message and confirm the word. Please contact before you order if you have any questions to avoid confusion or delay. Presented in a Gift Box.